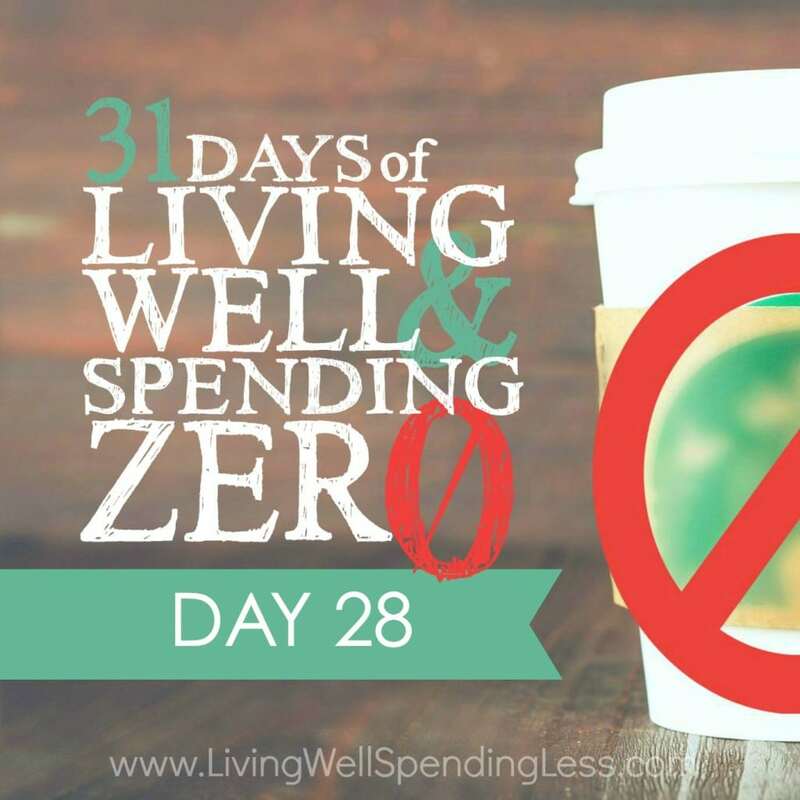 This is the twenty-eighth day of our 31 Days of Living Well & Spending Zero challenge. Start with Day One here. Wow! Can you believe you’re almost done? You made it four whole weeks! That’s pretty amazing. I know it’s been tough, but you’ve soldiered through and now you’ve got just seventy-two hours to go. Woot! In this past week, we learned ways you can earn a little extra money, and how to tap into your existing resources to barter, trade, and sell items to get what you need. We also had a little fun with a date night and some family activities! I hope you and your loved ones really explored what it means to have quality time together without spending money. How did your kids feel about the challenge? One of the things I loved about this week was that I really started to think about the sustainability of spending “zero” as a lifestyle. Granted, very few of us can manage to truly spend zero, but many of us can learn to cut back on excess and separate out the needs from the wants. So often we get caught up in the mentality that buying something or running to the store will solve our problems. We throw money at things without addressing the real issues. We buy entertainment and turn our imaginations off. Doing this challenge really forces you to open up your mind to alternative answers to life’s questions of “what to eat,” “what to wear,” and “what to do.” You can get by spending less. And in some (many) cases, less is actually more. Going without forces us to appreciate the things we do have. It forces us to turn off the television and focus on our significant other. It helps us to haul out the pillows and build a fort with our kids, play games, and use our imaginations. 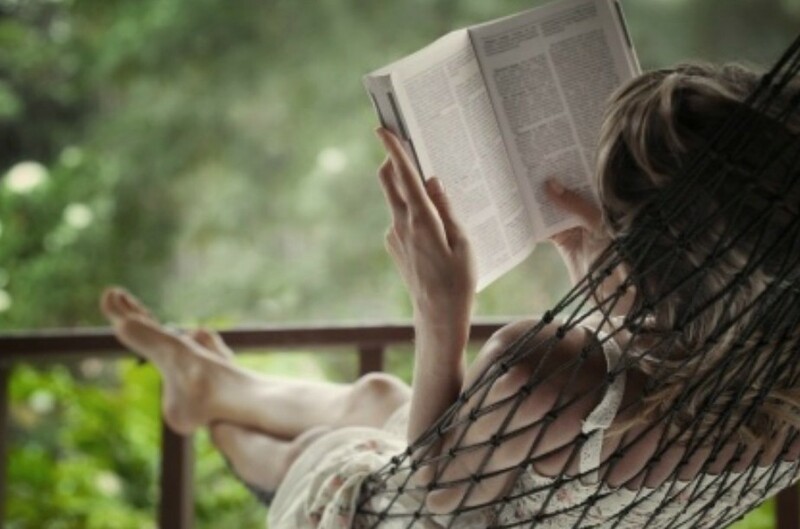 Those are the memories that will sustain you through life—not how much you had or bought, but rather, the things you did and the way you spent time and appreciated those around you. With that, I give you your weekly reflection sheet. Take a moment to explore your feelings and what you learned this week as we approach the end of our challenge. Note your highs and lows, and biggest lessons learned. This week was surely unique for all of us. Documenting your experiences will help you review and reflect later—and learn so much more from your experiences. Overall, I must say: way to go! 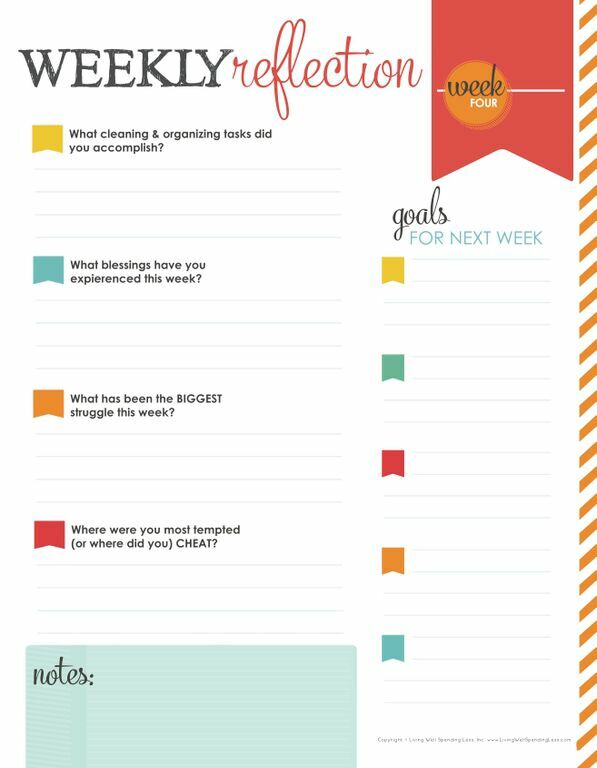 Get your printable week 4 reflection sheet here. * * *Don’t forget that I will be broadcasting LIVE each day on Periscope (usually between 10am and 11am EST). You can find and follow me there at @RuthSoukup. Be sure to also share your photos on Instagram for a chance to win daily prizes. (Get the contest details HERE.) Finally, be sure to check out our BLOG TOUR page, where you can find all sorts of additional ideas and inspiration from other bloggers who are taking the #31dayLWSZ challenge this month too! How did you maximize your resources this week? What have you enjoyed most about this challenge so far? What has been the hardest part? Hi Ruth! While I haven’t been participating in this month’s zero spending challenge, I have been interested and inspired by it and all that you’ve written and shared this month. What you wrote today about becoming conscious of what you’re spending and more importantly, WHY you’re buying it really struck me. I’ve been on a 2 year journey toward living mindfully and with intention, and one aspect of that relates to what I buy. I used to be a sucker for clearance rack clothes and would buy things just because “It’s only $4!” Most of the time, those things remained unworn in my closet. My mindset while shopping has changed and really, my mindset about bringing things into my home in general. Will this make me feel good when I wear it? Will it get used frequently? Will it bring us joy? Even simply being mindful of these questions has made a big difference to me. I plan to continue this thought process as we prepare for baby #1 coming in March! Thank you for the entertaining and inspiring series you’ve given us!